I know there are a lot of Twilight fans out there and there are all kinds of items out this holiday season. Board games kept in good condition can become collectors items. This would make a great gift for a collector or just a crazy fan. 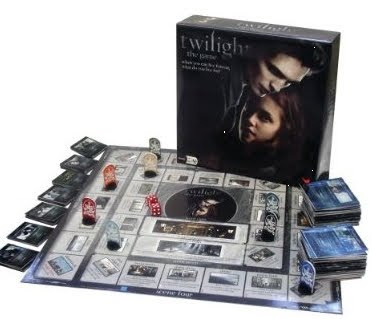 Twilight Board game is only $7.99 (orig $19.99) and ships free with Amazon Prime.